The Young Parents Program is an early intervention initiative which works with young parents under 25 in the Parramatta and Holroyd local government areas. In the past year over 66 families have accessed the Young Parents program. Families are supported through information and referral, case work, the Young Parents Group and the First Time Parents Group. 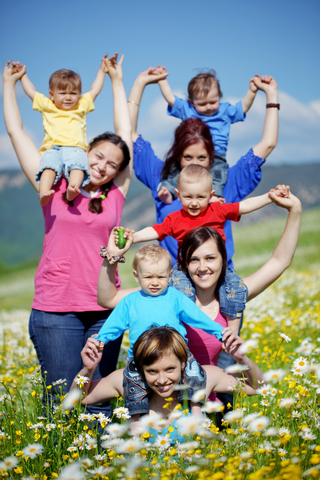 Casework provides one to one support with the young parents and their families. This involves working with the young parents to identify needs and determine strategies and supports. Through home visits, attending appointments and telephone contact the young parents are supported to achieve their goals. Casework is varied and involves working on issues such as parenting skills, child development and behaviour issues, relationship difficulties, accommodation and financial pressures, career choices and coping in unsupported and often challenging family situations . In addition we support parents in accessing childcare, health, housing, legal, Centrelink, counselling and practical aid services. Isolation, judgement, domestic violence, financial pressures, low self-esteem, depression and anxiety, lifestyle choices and a lack of family and peer support continue to be major inhibitors to young parents feeling confident in their skills. Many young parents show great commitment, resilience, determination and ability as they work to achieve their goals and extend their skills and support networks. The Young Parents Group is an educational social networking group. It provides a relaxed and non-judgemental environment where young parents can share experiences while being given information on various topics. Many young parents do not drive or have access to a car so we offer limited transport for the young parents and their children. This enables some of the more isolated young parents to attend the group. In addition we engage experienced childcare workers to take care of the children during group. For some young parents this is their only opportunity to socialise without their children. The group incorporates learning experiences with crafts and social activities. During the year topics such as first aid, cooking, budgeting, fitness and diet, child development, healthy relationships, goal setting, parenting skills and relaxation techniques are presented. The parents enjoy creative activities such as decorating T-Shirts and oil burners, making Christmas crafts, cooking child-friendly meals, scrap booking and making learning and behaviour resources for their children. “Young mum’s group is awesome. It’s the best group of girls and it helps me to be able to relax and know the kids are in safe hands while we sit and chat with others who are in the same situation. It has helped me get through the tough times and stay strong”…. The Young Parents Group is constantly changing as participants relocate and pursue their goals in education and employment. In the last year 5 young parents enrolled in high school, TAFE or University while others acquired more suitable accommodation in other areas. Some young parents engaged in new groups with one starting a new playgroup in her area.